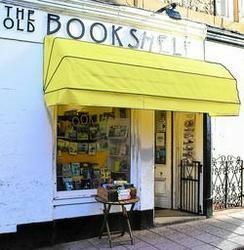 Welcome to the home of The Old Bookshelf, situated in Campbeltown on the West Coast of Scotland. Our wee bookshop holds over 15,000 New, Antiquarian, Out of Print and Used titles available for immediate despatch. We maintain a wide general stock, specialising in local, Scottish, maritime and military. Out of print and new titles are catalogued every day. We work hard to make sure that every book is carefully examined and the condition is individually and accurately described. Each of our books is very carefully packaged to ensure that it arrives at its new home in the condition that it left the shop. In the event of a problem please contact us within 14 days of receipt to discuss how we can best rectify the situation.